So the ALS Ice bucket challenge has been going around for a while now. My feelings were pretty mixed about it throughout the whole thing. At first I felt like it's an amazing idea, but then people started debating on various topics like "wasting water" or the "either/or controversy". I feel like people are making this too complicated and people on the Internet are just looking for things to talk about or poke at simply because they are bored. At the end of the day, as long as the reason behind the ice bucket challenge is conveyed it's fine with me, after all this is an awareness campaign. That being said, after 1 week of joining my new company, we were challenged by the headquarters and I was appointed to edit this video (since our Marketing manager watched some of my other vlogs and recommended me). I'm glad everything turned out amazing and everyone was happy with the video I edited! 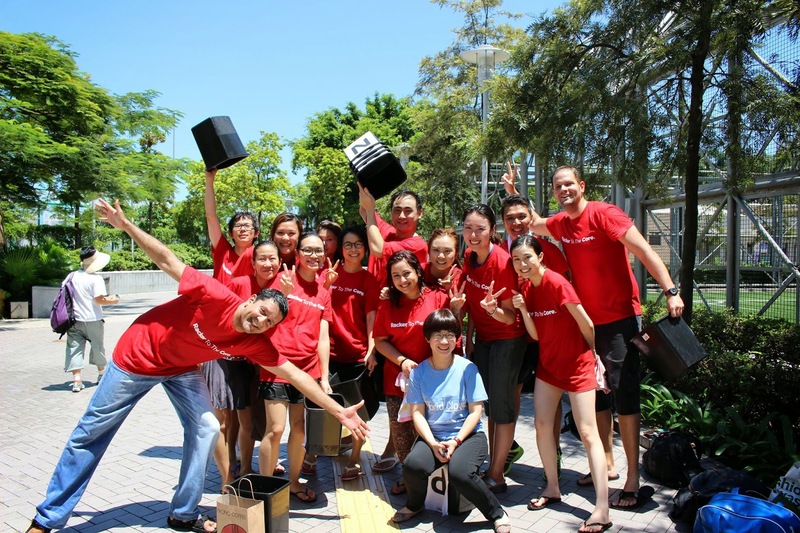 And most importantly, our office raised around $8,000 HKD for this cause, which is pretty good for an office our size. Charity aside, I'm thrilled to be able to join an office with such an amazing culture, full of people who treat each other with respect, who are humble, and offer "fanatical support" to people all around without hesitating. Cheers to a fantastic new start and I'm sure this journey is going to be incredible.